Hiring technicians is the largest challenge many auto repair shops face. For most other shops, it will become their largest problem as soon as they lose an employee. 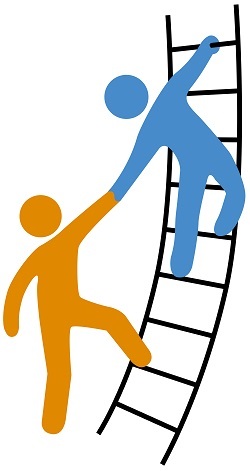 This is the second post in a three-part series on building a strategy to recruit, retain and elevate your technicians. The previous post, The Technicians You Need: Building Your Team, can be found here. For an auto repair shop to have a good shot at remaining open five years from now, shop owners and managers need to be focused on retention. Because of the difficulty of hiring qualified technicians, a high turnover rate will be difficult to weather while keeping bays and lifts busy enough to pay the bills. And if technicians that are looking for jobs hear that turnover is a problem at your shop, they might not even consider working there. Most shop owners aspire to more than merely keeping the shop open, however; they have goals they want to accomplish through their shop. Some want to expand into a larger space, or open additional facilities. Some want to provide a great work environment, along with good pay and benefits for their employees and for themselves. Some want to improve the lives of citizens in the community. Whatever your goals, a focus on retention can help make them a reality. That’s because it’s impossible to focus on retention without focusing on hiring the best employees and giving them what they need to be successful. 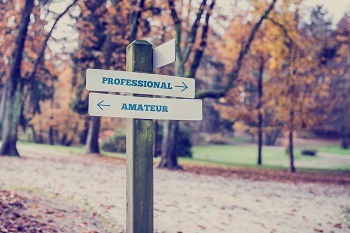 As mentioned in the first post in this series, the best employees aren’t necessarily the ones with the most experience or technical knowledge. The best employees are the ones that have integrity, a desire to succeed, and an innate desire to treat people well. Integrity – The most important part of a top tier employee is that they have integrity. There’s nothing you can do to train an adult that honesty is important; if they haven’t figured it out by now, they’re not going to figure it out. Honest employees will appreciate an environment where they can trust their co-workers and their supervisors to be honest with them and treat them with respect. Drive – When all your employees have a desire to succeed, they will push each other to meet goals, and they’ll be motivated by seeing those around them meet the goals. If you can provide attainable goals and a rewarding work environment, they will push your shop forward every single day. Customer Service – Unlike honesty, customer service can (and does) improve with training. Much of it is about prioritization – there are so many things going on in a shop that it’s often difficult to stop and imagine how the customer feels about the process they are experiencing. For customer service training to be successful, however, your employees must have an innate desire to please customers. If they’re more inclined to focus on vehicles or process than the customers who are paying your shop, they’re unlikely to pick up on cues that the customer is unhappy until it’s too late. If you hire the right people, you won’t have to spend nearly as much time keeping them positive, goal-oriented and motivated by customer satisfaction. You do have to spend time on your employees, however. Good employees have professional goals, and they want the opportunity to learn new skills on the job. They also want time to train on new skills and keep up-to-date on modern vehicle repair. Some of your employees may even have the desire to become a shop manager or owner themselves. These are among your most valuable employees, because you can train them to step in when you’re sick, on vacation, or otherwise unavailable to manage the shop. And whether you want to open additional locations, or you just want to retire one day, having someone in the shop who can step in and fill the shoes of a shop manager is one of the most important parts of any succession plan. A retention plan doesn’t look much different than a successful shop business plan. Hire the right kind of employees, and give them what they need to get to the next phase of their professional development. Make sure that you’re taking advantage of their new-found skills to maximize the profit of your business. And try to ensure that you have at least one person who is being mentored towards shop management, so they can step in when you can’t. And when you do lose an employee, don’t get in a rush and hire a high-performing jerk. To learn how Repair Shop Websites can bring more business to your shop with a powerful website, call us at 866-665-1605 or email us at Team_RSW@RepairShopWebsites.com. Hiring technicians is the largest challenge many auto repair shops face. For most other shops, it will become their largest problem as soon as they lose an employee. This is the first post in a three-part series on building a strategy to recruit, retain and elevate your technicians. 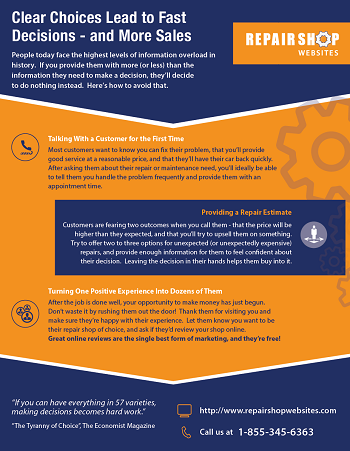 Many shops are floored with the level of competition in recruiting service technicians. If you’ve needed technicians in the last few months, you’ve probably seen just how difficult it can be to attract qualified, personable people to join your team. The shortage is dire enough that staffing is an issue even for shops that don’t need technicians – because their best team members are being recruited by other shops desperate for help. Unfortunately, it’s only going to get worse. The technicians of today are being pulled in multiple directions by dealerships, independent shops and businesses that need technicians to service their fleets in-house. The technicians of 2021-2025 are being pulled in many other directions. They don’t even know that they’re interested in auto repair – and they may never find out. High-school and technical school students with an interest in skilled trades are becoming exceedingly rare. They are being recruited by every industry that could use their help, including the electrical, plumbing, HVAC, and even industrial mechanical industries. Once they begin a skilled trade path, they will likely transition into that field and continue to develop their skills in that area without ever considering another one. Most shops have a stated preference for candidates with a certain level of experience. Managers can’t imagine themselves having to take on the added burden of training a first-time employee on the basics of employment on top of auto repair. While they wait for a qualified candidate to come along, they settle for no employee at all, which can force them to turn away business and damage their reputation and their bottom line. “Green” employees have advantages that employers don’t often consider. While they need to be trained, they don’t need to be retrained, which is generally harder. They don’t have expectations of what it’s like to be in the workforce, and as a result they will often mesh better with your team and have a less entitled attitude. They are also appreciative of the opportunity to bolster their skills, and they’re sometimes more interested in mentorship and career trajectory than a higher starting salary. Whether you’re having trouble hiring now, or you want to insulate yourself from this challenge in future years, it’s worth your time to explore building a “farm team” of apprentices and trainees that see your shop as a great way to enter the skilled trades workforce. This could be as easy as taking on apprentices who are already going down the path of auto repair. It could also include offering training programs or career presentations through your local community or technical college, or even local high schools. It’s true that this requires time, which is a valuable commodity for many repair shop owners and managers. It’s also true that this approach may take months (or years, depending on your audience) to yield full-time technicians. Becoming recognized as a top place to start a new career, however, could provide a steady stream of eager, affordable new recruits for years to come. Shops that achieve this goal have one of the biggest competitive advantages in the auto repair industry – the people to get the job done. To learn how Repair Shop Websites can help your shop earn more business, call us at 866-665-1605 or email us at Team_RSW@RepairShopWebsites.com. Is Your Business Running as well as Your Car? Taking care of your online presence is much like taking care of your car. They both need attention and care from those who do it best. Your business is found online by customers who need their car worked on. Click here to learn how to make your online presence count. Have you ever gone into a store and been shocked at how disconnected from reality the people working there were? If you ask the server at a pizza restaurant whether they sell by the slice, or you ask an employee at the grocery store where to find cleaning supplies, sometimes they’ll look at you like you have three eyes. You think to yourself – How do you not know the answer to that? Whether they’re doing it consciously or not, they look at you like you’re stupid, and it makes you want to leave and never shop there again. Unfortunately, this can happen to everyone who takes the time to learn their industry. If you spend most of your waking life thinking about the auto repair business, you probably get questions all the time that seem off-the-wall. I know the breaks are squealing, but can I wait for that grinding sound before I replace them? Can I save money by not refilling the transmission fluid until next visit? Can’t I just wait until the belt brakes to replace it? These questions may seem to have obvious answers, but they may not; it’s difficult to know what you wouldn’t know if you weren’t an expert in the auto repair industry. When you get questions like this, it’s possible that the person is trying to get a rock-bottom price, and they won’t be a good fit for your shop. But it’s equally likely that they just don’t want to pay extra for “gold standard” auto repair and want to see if using a cheaper part or skipping a step will save them money. They may have no idea at all what the consequences might be. When this happens, it’s important to imagine yourself at that pizza counter or grocery store. Don’t just tell them you won’t do what they’ve asked you to do because it’s unsafe, or will lead to terrible results. Take the time to explain why you recommend doing things the way you do them, and what would happen if you didn’t. Often times, the customer will accept your explanation without any further complaint. In some cases, they’ll appreciate that someone took the time to actually explain what goes into the job they’re paying hundreds (or thousands) of dollars for. But no matter what goes through their head, the conversation will definitely go better than that unconscious look of shock that sometimes happens when you aren’t prepared for these questions. 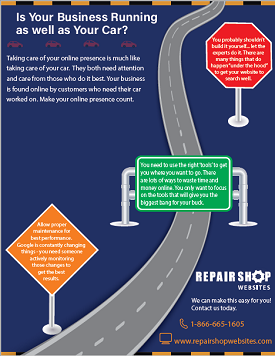 To learn how Repair Shop Websites can help you increase your car count by getting your auto repair shop found online, call us at 866-665-1605 or email us at Team_RSW@RepairShopWebsites.com. For many people who live in cities across the United States, Uber and Lyft have changed the way they move around. Compared to taxis, they arrive more quickly, are cheaper, are easier to call, and the drivers are individually rated and often friendlier. All of this has been good for the business of Lyft, whose filing to become a publicly traded company has now gone public, and Uber, whose filing will likely become public soon. The document these companies have to file to become public, called an S-1, is among the most detailed filings ever required of a company. Among other things, the document must detail how they see the future of the company unfolding. And Lyft’s vision could have major implications for independent automotive repair shops. Here are three ways (both good and bad) that shops will be impacted if Lyft’s vision becomes a reality. Lyft’s goal isn’t to provide a taxi service for people who are enjoying a night on the town or whose cars are in the shop. Lyft wants to replace the family vehicle. According to Lyft, vehicles are only used 5% of the time and vehicle ownership represents most of the $9,500 per year that people spend on transportation on average. If people in urban (and suburban areas) do forego vehicles, then the number of vehicles in use will decrease dramatically. 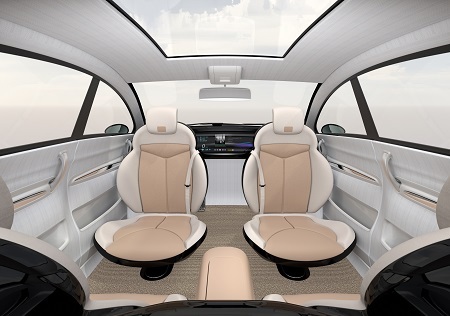 The diversity of models will also decrease – as vehicles become a business expense, the extra costs of providing models to appeal to everyone’s personal tastes will become a burden for manufacturers. If this vision becomes a reality, it would reduce the amount of business that many auto repair shops see, especially for repairs that are due to a vehicle’s age rather than its usage. On the other hand, a reduction in models could reduce the ever-increasing knowledge base required to be a general maintenance shop, helping to make shops more efficient at their work. One of the most frustrating things for many service managers is when customers refuse to take steps to maintain their vehicle because of the cost. This doesn’t just prevent the shop from increasing its Average Repair Order; it also costs the customer thousands of dollars in long-term expense, ultimately leading to them purchasing a new vehicle long before it would have been necessary. If vehicles become primarily a business expense, however, people will make much more informed decisions about maintenance. For Uber and Lyft drivers, vehicle usage doesn’t represent 5% of their day – it is critical to their livelihood. Shops that provide a fair price and trustworthy service to these drivers will see them far more often than other customers, and these drivers will make better maintenance decisions in order to maintain their own profit margins. While they don’t dedicate pages to the topic, Lyft also doesn’t make it a secret that the long-term goal is to eliminate their drivers entirely for many rides. In fact, one of the risks they highlight is that eliminating their drivers from their business model will lead to negative publicity. In their vision of the future, fully automated cars will be transporting people, so they don’t have to pay a driver (or create a job) at all. Lyft also anticipates that “autonomous vehicles will be most effectively and affordably deployed through ridesharing networks rather than through individual ownership”. This is among Lyft’s most dangerous predictions for independent automotive repair shops, because any large corporations that own thousands of these autonomous vehicles are likely to rely on large corporations (including possibly themselves) to maintain these vehicles. A future where all of us get in an identical corporate-owned vehicle to be herded to our jobs and back via autonomous transport is not a pleasant future for repair shop owners. Fortunately, it’s not really a pleasant-sounding future for anyone – so despite Lyft’s hopes and dreams, it’s unlikely to become a reality anytime soon. To learn how Repair Shop Websites can help bring more business to your auto repair shop, call us at 866-665-1605 or email us at Team_RSW@RepairShopWebsites.com.